Throughout the months of June and July, Heit's Point Lutheran Ministries offers a variety of summer camp weeks for youth entering 1st grade through 12th grade as well as for families. 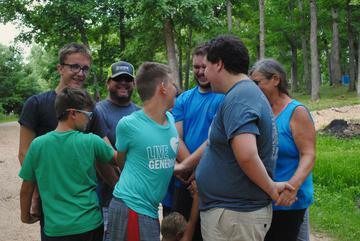 No matter the camp, campers will get the chance to participate in games, Bible studies, campfires, Group Initiative Course, fishing, outdoor education, and much more! Check out the snapshots and dates of each camp week below or click here to download our brochure for further descriptions of each camp. Click here to download the registration form for all camp sessions. 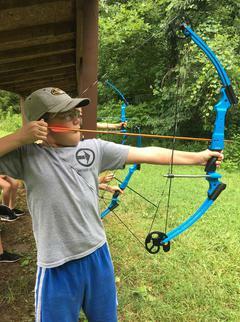 This adventurous camp focuses on the basics of camping and fishing, while incorporating other outdoorskills as campers prepare for a three-night camping trip on site. Campers will get the chance to help design their own camp schedule, working with staff and fellow campers to choose their activities for the week. This camp is an opportunity for young campers to "discover" what camp is all about. Campers will spend a fun three days experiencing the different activities Heit's Point has to offer. Family camp is open to all families, but is especially geared towards families with children too young to attend regular camp sessions. 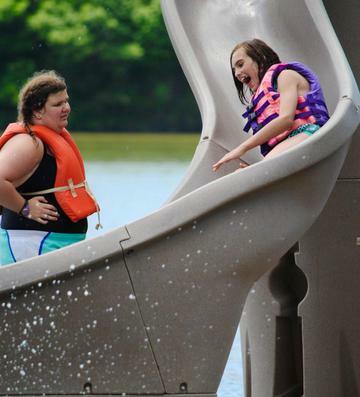 Each family can choose their accomodations from Heit's Points large range of choices to spend their mini camp week in. Night Owl has an alterted schedule that allows campers to eventually stay up all night long and experience camp activities in a new way. 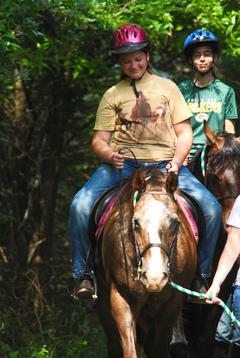 Campers will learn basic riding skills, as well as how to properly care for horse during group lessons at Lost Springs Farms. 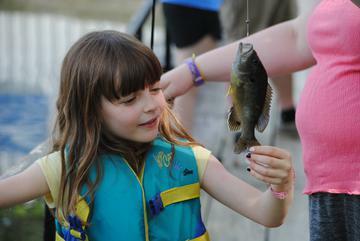 They will also enjoy traditional camp activities wiith staff and other campers. Followig the same layout as the entry level horse camp, advanced horse camp is great for those who have already learned the basics of riding and are ready to continue building their horsemanship skills. Similiar to U-Pick JR, campers will help choose their own camp schedule. 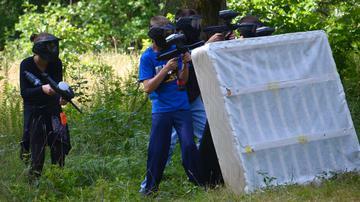 However, the activity options in this camp will extend past those offered during U-Pick JR.
Campers will participate in four two-hour sessions of paintball, mixed in with other camp activities throughout the week. 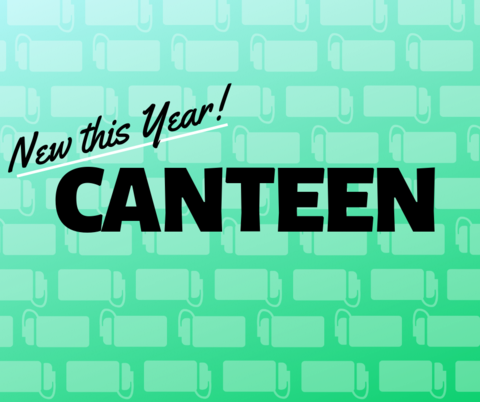 Heit's Point is excited to announce that starting this summer, "canteen" time will be offered throughout each camp week! Campers will receive the opportunity to buy two items from a vareity of snacks and drinks and enjoy it with their fellow campers during canteen time. This money (recommended $10 for the week) can be included in the registration cost or submitted by parents at registration at the beginning of the week. Early Bird Discount: Register before May 1st and receive $20.00 off. Family discount: For families sending more than one child to camp. The first child will be charged full price, while each additional child receives $20.00 off. 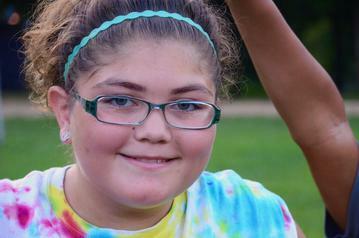 Bring a Friend Program: Simply bring a friend to camp who has never been before. 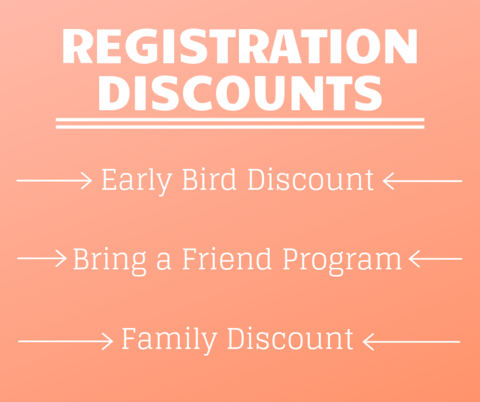 For each friend that registers you will receive $20 off your registration cost.